Walks from the Door is a small business producing bespoke walking guides (paper and digital) on behalf of pubs, hotels, campsites and similar establishments. Leaflets start from £199 but prices vary depending on the number of walks, distance, paper quality, print run, etc. A firm quote will always be agreed before starting work. 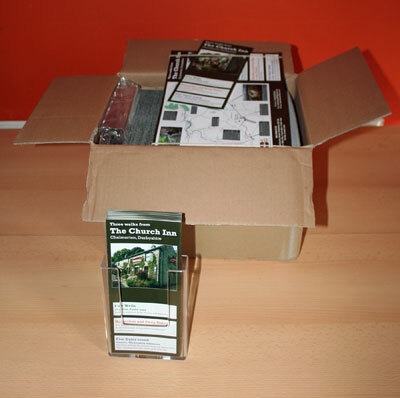 Walks from the Door leaflets are intended to attract new clientele, to encourage existing customers to return, and to enhance your offering to your guests. The leaflets are carefully designed, most often with three walks on each – an easy stroll, an afternoon walk and a longer hike – to appeal to walkers of all levels of experience and to encourage weekend stopovers and return visits. 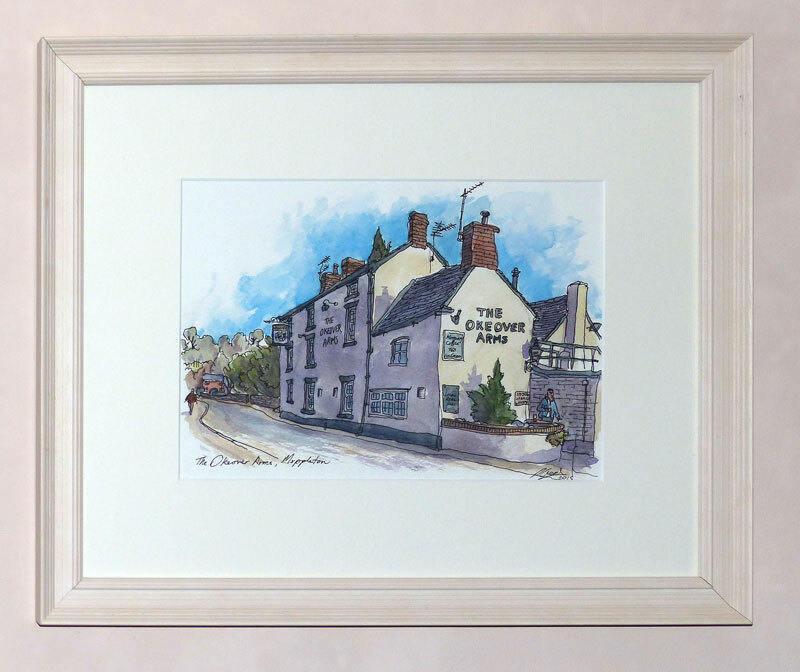 I am also collaborating with a local artist, Paul Gent, who specialises in characterful paintings of buildings. 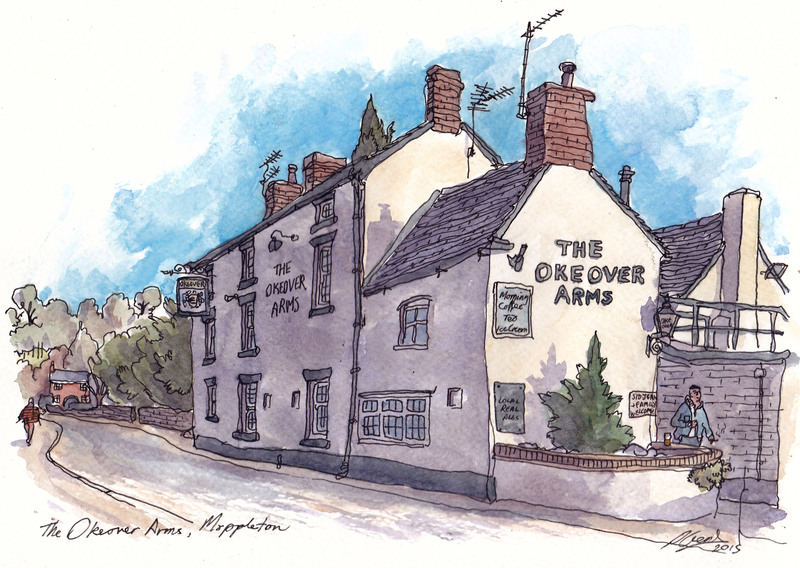 For just £60 (all of which is passed on to the artist without commission), he can capture your premises in ink and watercolour. The painting will appear in place of the usual photograph on the cover of the leaflet, and you get to keep the original A4 artwork (either unframed or, for a small extra charge, framed). At no extra cost to you, Walks from the Door will seek syndication and publicity in local press, social media, blogs, etc. your logo, contact details, opening hours, welcome message, etc. Initially, please contact me to discuss your requirements. Once we have an agreement in principle, I usually research, write and illustrate the leaflets unaided, but I am more than happy to incorporate content or ideas from you or your associates. On completion I will send a specimen copy in PDF format, and following approval of the draft and receipt of payment I will arrange printing and delivery of the printed leaflets. It's as simple as that! help with marketing, distribution, launch events, guided walks, etc.